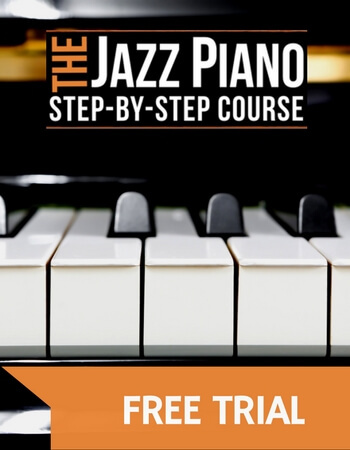 How to test out the Jazz Piano Step-by-Step Course for free. Sometimes the easiest things are quite complex to set up, and giving trials for all new students are one of them. Here at PopJazzOnline.com we will always work hard to do our best for our students, and more than anything: Helping more people find their musical voice. One of the most frequently asked questions since the startup is if people can try before they buy. And the result: We listen to our growing audience. That’s why I now can introduce for you: Free trials for all new students! Another feature that we have wanted to add for a very long time is the ability for students to recommend us to their friends and get paid when their friends signs up. And, I’m happy to announce that we now have made this possibility for all our students. For current students: You can find an article on exactly how this works here. This feature have been requested so many times, and so many people will now be happy once they know as follows: Yes, from now on you can pay for all courses by using PayPal! We have had an amazing growth since startup, but we’re far from done with our mission to help thousands of people taking care of their music by truly understand how it all works, so they can get the freedom to play what they desire. 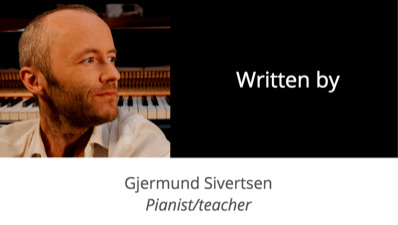 From an intense period now of setting up the business part of PopJazzOnline.com, my intention is to continue building amazing jazz piano courses as well as other music courses, YouTube videos and more. The feedback is overwhelmingly great, and I want to thank each and everyone of you out there for all your kindness and positive feedback to all my work. A big thank you! Ps: A lot more to come soon! Take care of your music!